Turning 50 is a big milestone for me and I want to share with you all that I have learned in my half century on this earth. Online courses, teleseminars, video-conferencing, books and PDF programs are going to be made available to you. Sign up for email notifications of new course arrivals. Courses will cover health & fitness, nutrition, travel tips, time structuring, career development, social media expertise and parenting. "You can have everything you want in life, if you just help other people get what they want." - Zig Ziglar........These are the words I live by. I want to help you achieve "YOUR LIFE ACTUALIZED!" What does that mean? I want to make the life you dream of, the life you are actually living. Together we can change the world. Let's start with the world immediately around us!! Get Notified When The Courses Are Published! In this 4 class course I will solve all of your Kitchen issues that are preventing you from serving the healthiest, most delicious meals that your family deserves! A favorite of the CPo Tribe, this detox is effective, safe and above all EASY! If you have been considering doing a detox this is the one to do. 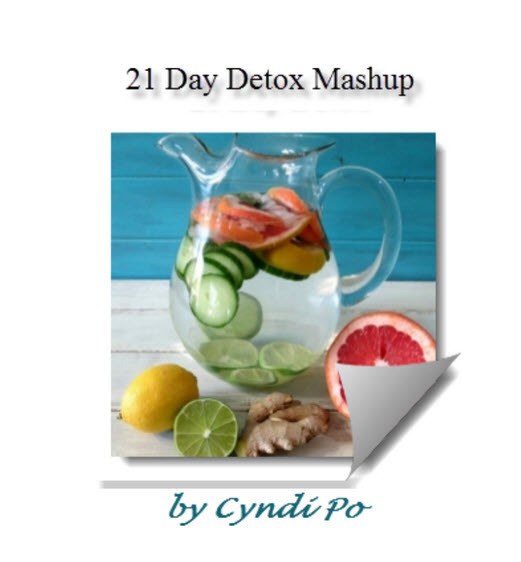 Whether you are wanting to lose weight, feel better, destress your digestive system, or if you are beginning a new regimen, this detox will help you get started and begin on a healthy start line. It takes 21 days to create a solid habit. By the end of this 21 days your digestion will be good, your energy will be high, and your weight will be stabilized. Is juicy really good for you? What is the best fruits and vegetables to use? Can you juice too much? As with anything in life, juicing can be good or bad. It depends on if you are doing it right. In this course all of the myths and fads about juicing will be cleared up and you will know if juicing is right for you.